According to a 2016 survey from Common Sense Media, half of the teens surveyed felt addicted to their smartphones; 78 percent checked their devices at least hourly. 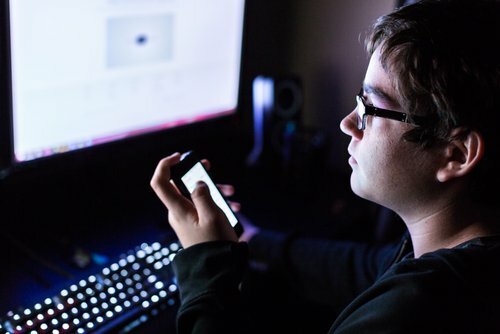 In 2015, a Pew Research report found that 73 percent of 13- to 17-year-olds not only had access to a smartphone, but 24 percent reported that they were online &ldquo;almost constantly.&rdquo; This is not surprising, given a project conducted by researchers at UCLA. During their study, they scanned the brains of a few dozen adolescents as they watched what looked like an Instagram feed. When teens saw that their own pictures had received lots of &ldquo;Likes&rdquo;, they showed a greater activation in an area of the brain called the nucleus accumbens, part of the brain's reward circuitry and one that&rsquo;s particularly sensitive during adolescence. It&rsquo;s easy to see how this vulnerable age group &ndash; easily influenced by what others think &ndash; would crave approval on social media. Research has shown that teenagers need 9.5 hours of sleep each night, but on average only get 7.5 hours. But this is no surprise. According to the CDC, teens who spent three or more hours a day on electronic devices were 28 percent more likely to get less than seven hours of sleep. Further, teens who visited social media sites every day were 19 percent more likely not to get adequate sleep. Furthermore, an article in The Guardian stated that teens are so addicted to social media that one-fifth of secondary school kids will wake up at night to check social media to make sure they don&rsquo;t miss out. This &ldquo;fear of missing out&rdquo; (aka FOMO) is another detrimental consequence of kids spending too time on social media. An article on Truhealthonline.com stated one of the big problems with social media sites is that many times kids don&rsquo;t read or understand the privacy settings of their accounts. They are clueless about the risks of disclosing unnecessary personal information. According to a recent survey referenced on this website, 20 percent of youth think it&rsquo;s perfectly safe to post their personal information and photos online. Identity theft, anyone? This is more widespread than you might think &ndash; and it extends beyond the borders of the United States. In 2014, a South Korean survey of kids between 11 and 14 found that 9.7 percent were involved in cyberbullying, either as victims (3.3 percent), perpetrators (3.4 percent) or both (3 percent). In 2009, a Finnish study discovered that out of 5,516 adolescents, 10 percent of the boys had been victims, 10 percent had bullied and 10 percent had witnessed cyberbullying. Among girls, the stats were higher: 11 percent, 9 percent and 16 percent, respectively. For parents, it may be time to think twice when you see your kids glued to their smartphones. Okay, I have banned @service2client. I am @service2client and @icfiles on twitter. Thank you for verifying via Twitter. The ban has been removed. Okay, I have unbanned @service2client. Congratulations @service2client! You have received a personal award!